1. Heat oven to 200°C (180°C fan) mark 6. In a mixing bowl, marinade feta, oil, honey and thyme. Set aside. 2. Lay a sheet of filo on a work surface and brush with a little extra oil. Put another sheet on top and brush with oil. Fold sheets in half widthways. 3. Put the feta into the centre of the filo in a rectangular shape about 6.5 x 9cm (2½ x 3½in). 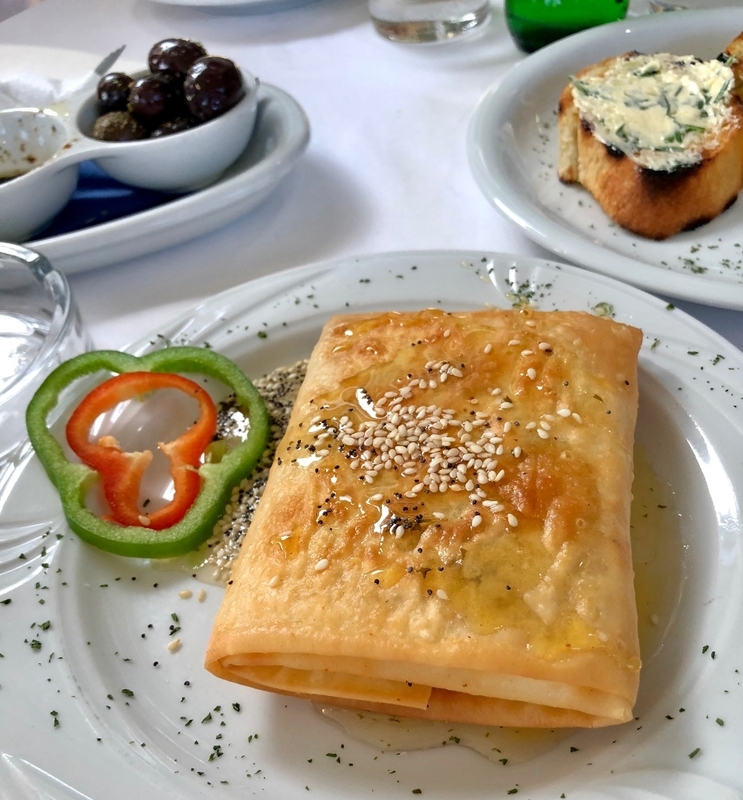 Brush filo with oil around the feta, then fold the two long edges over the feta, followed by the other two, shorter, edges to enclose completely and make a parcel. 4. Put parcel seam-side down on to a baking sheet, brush with more oil and bake for 25min until golden. Switch off oven with parcel in it to keep warm briefly. 5. Drizzle with extra honey and sprinkle with pistachios to serve.